Please Note: When making a booking online we do not take payment for your booking. We will contact you via email to confirm your booking approving your reservation. Payment is made when you arrive for your game. For larger groups of players 4 or more you will be required to pay a £10 deposit per player at time of booking. This could save you over 50% of your gaming cost! 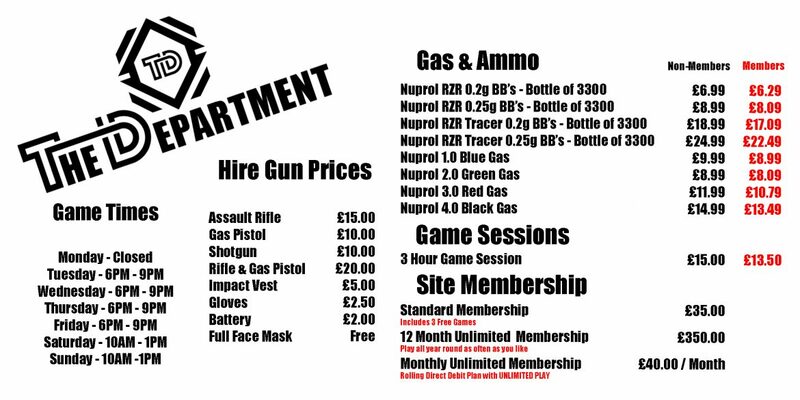 NEVER PAY for a game of Airsoft again for the next 12 months this is an unlimited play as often as you like, all-inclusive pass if you have your own gun.